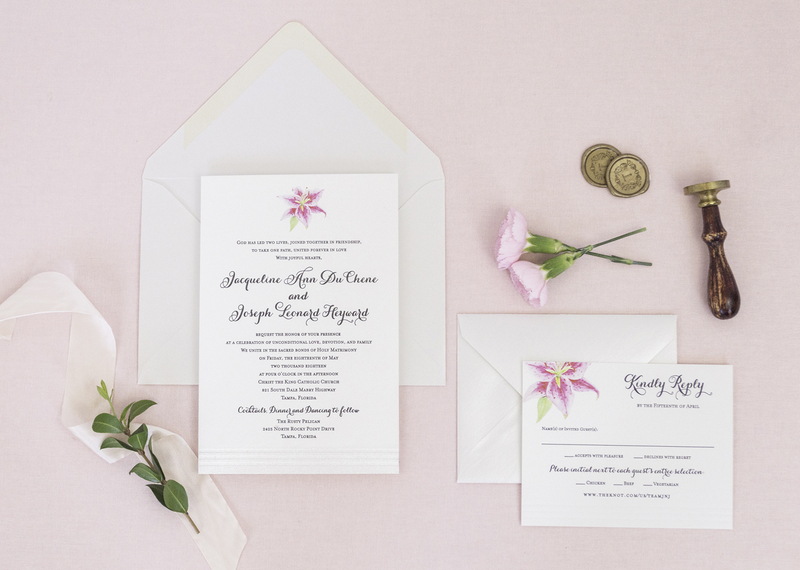 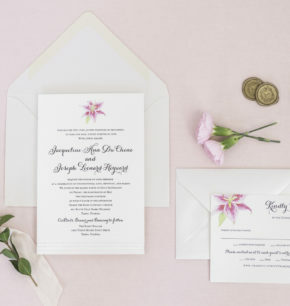 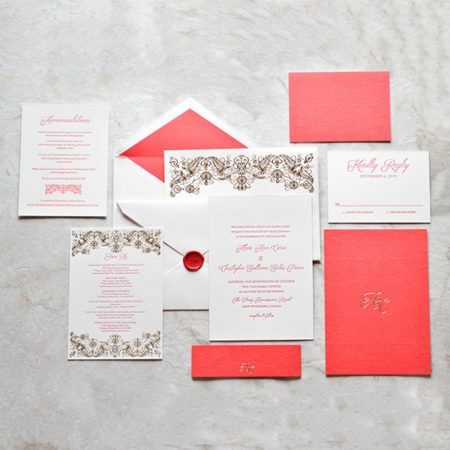 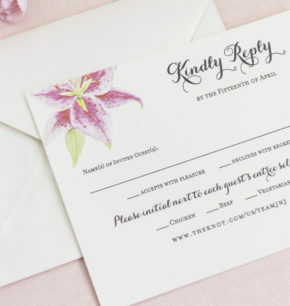 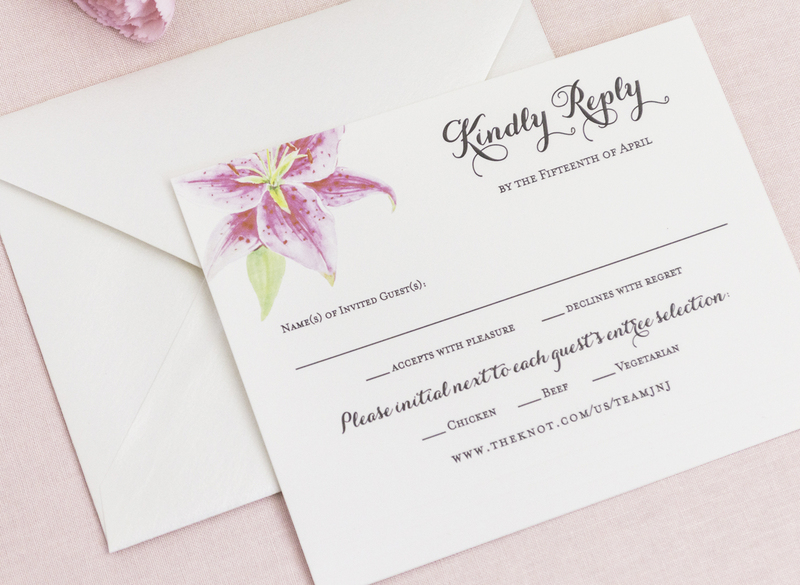 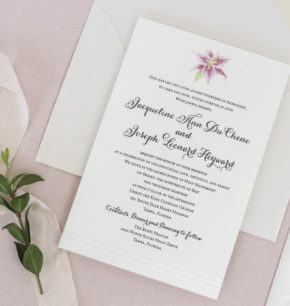 This bride was incorporating her favorite flower (the pink tiger lily) throughout her wedding décor, and she also wanted to feature it in a classy way throughout her wedding paper goods. 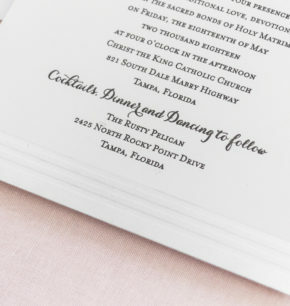 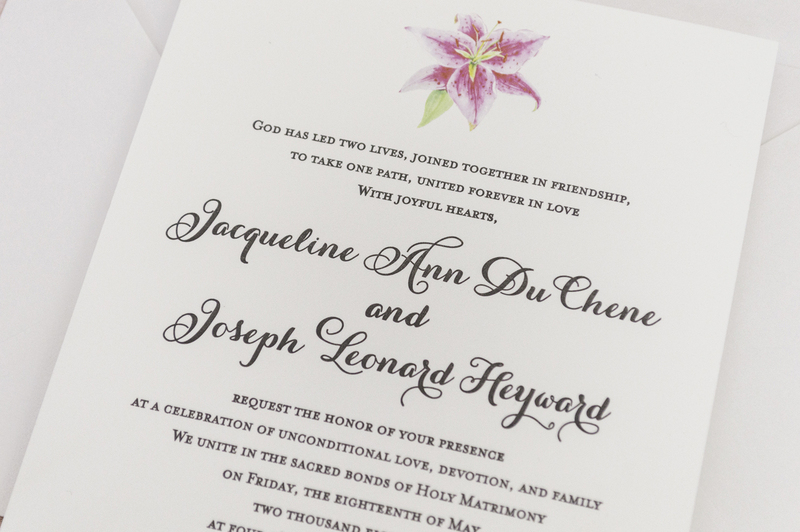 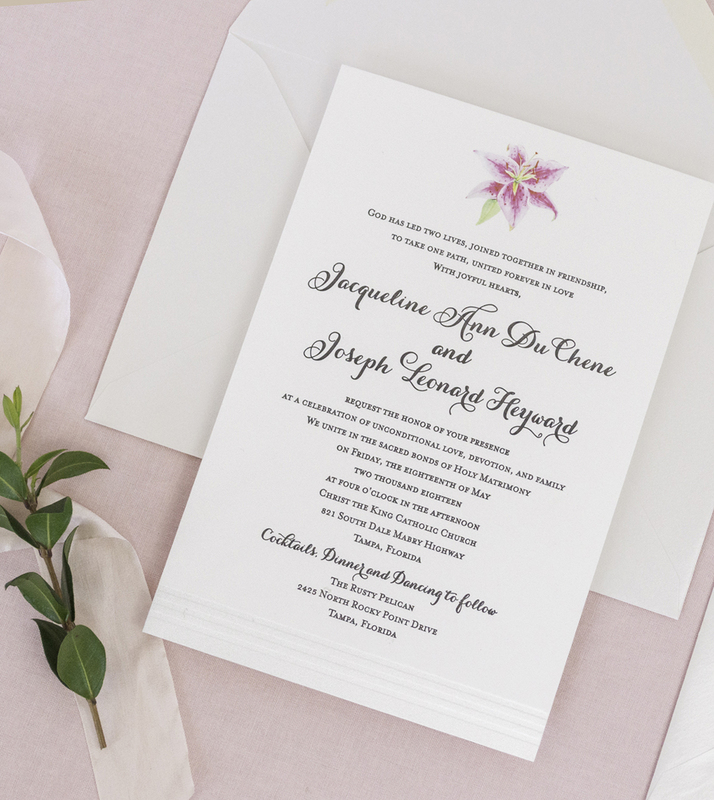 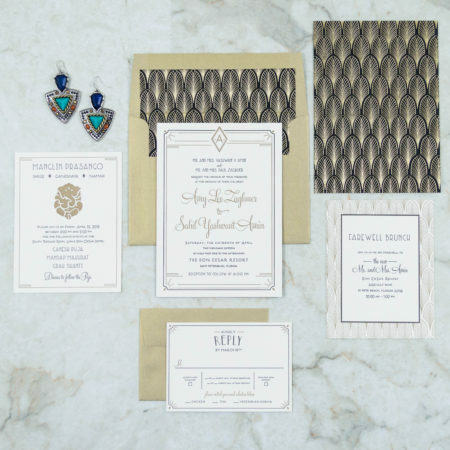 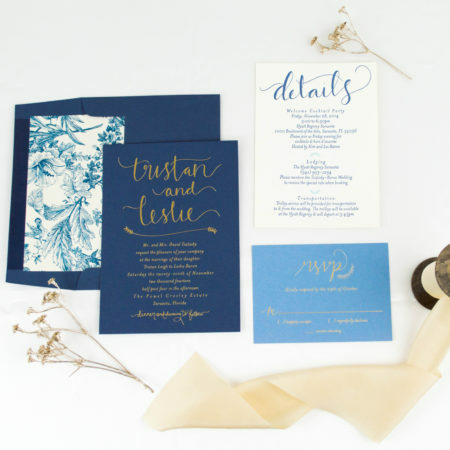 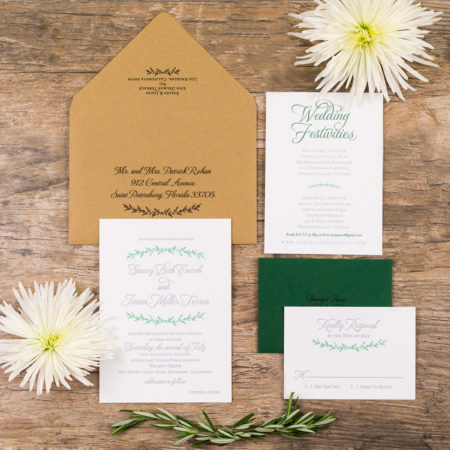 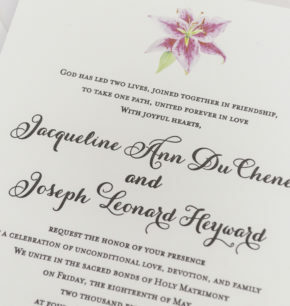 To bring her vision to life, we incorporated a beautiful watercolor version of the flower on her main invitation, and we letterpress printed the entire suite in black ink. 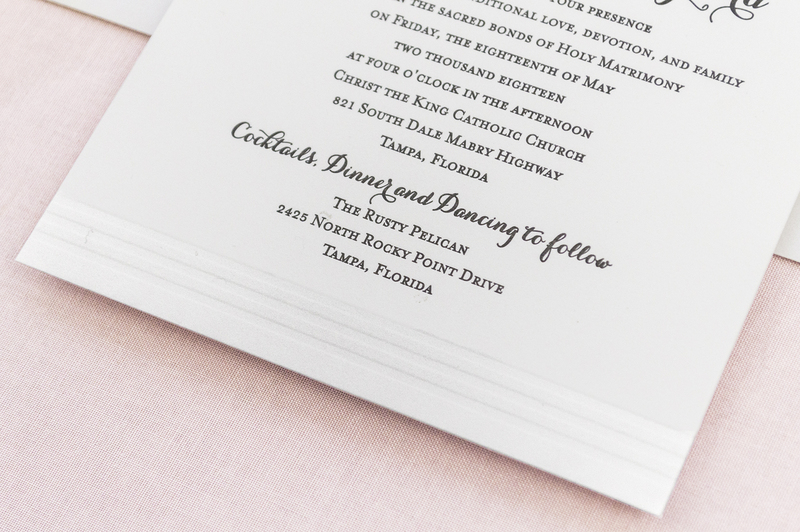 As a finishing touch, we added blind-pressed lines at the bottom of both the invitation and response card.